For travellers visiting Rome on a cruise ship arriving at Civitavecchia we offer shore excursions to explore the heart of the Eternal City. We have plenty of options for passengers arriving in Civitavecchia who want to spend a day a Rome. Whether you want a driver guide to show you the highlights of Rome, or you want to see something outside the usual tourist destinations, we can arrange an itinerary to suit your needs. Our professional drivers offer clean, comfortable and modern transport options, ensuring you get the most of your visit to Rome. 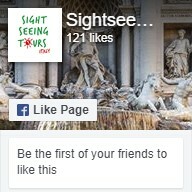 We offer a variety of itineraries for shore excursions to Rome or can custom design an itinerary especially for you. Some popular itineraries include the Colosseum, Roman Forum, Vatican Museums, Rome’s historical centre, Villa d’Este or the ruins of Ostia. We can arrange a fully licenced local guide for any destination, or you can explore at your own pace with our driver chauffeuring you around the highlights. You can relax in the comfort of clean and modern transport, without the hassle of navigating Rome’s cobblestone streets or stressing about getting back to the boat in time. For lunch, your knowledgeable guide will have local recommendations to suit your taste and budget, so you can experience traditional Italian cuisine away from the tourist traps. All our guides are all fully licenced, offering you local insight that brings Rome’s fascinating layers of history to life. Guided tours are in English, but other languages may be arranged. If you are just after a transfer from Civitavecchia to Rome (one way or return), we can arrange your transport so you a free to explore the city at your own pace. We also offer accommodation transfers if you are staying on in Rome. If you would like to know more about out Rome Tours from Civitavecchia, please contact us with your travel details and let one of our travel specialists arrange a tour to suit your needs.